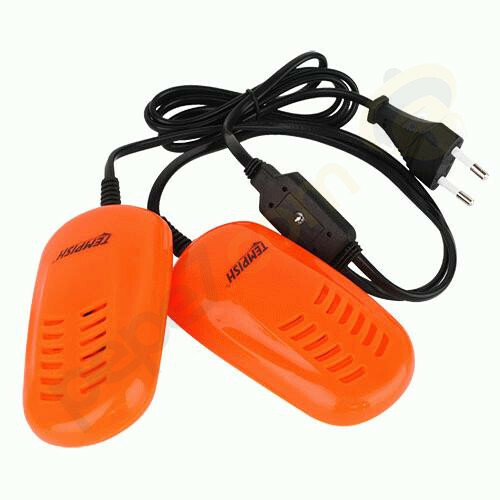 Hair footwear Snik gently and effectively removes moisture from shoes. Use a hair Snik is hygienic, preventing the spread of fungi and other germs. The heating elements are inserted into the shoe and the power cord connects to an outlet at 230 V.
The estimated time for complete drying of shoes is 6-8 hours. The surface temperature of the heating element inside the shoes 50 and 80 ° C.
Opening the shoe cover (obstruct) order not to inhibit the flow of air in the shoe. Furthermore, it is allowed to combine two sources of heat. Do not leave hair turned unattended for longer than is necessary.